Désolé, cet article est seulement disponible en Anglais Américain et Italien. Pour le confort de l’utilisateur, le contenu est affiché ci-dessous dans l’une des autres langues disponibles. Vous pouvez cliquer l’un des liens pour changer la langue du site en une autre langue disponible. 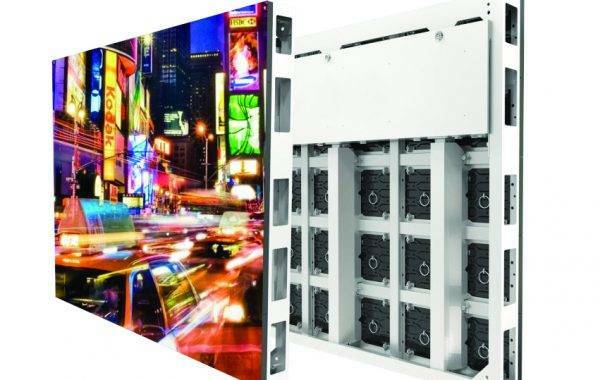 SIGNUM-T is the outcome of years of experience in outdoor LED displays installations. 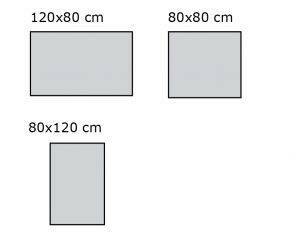 It excels in large-scale formats, with long viewing distance, granted by pixel pitches from 10 to 25 mm and a wide range of cabinet dimensions. 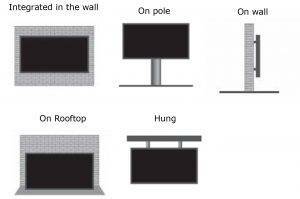 The display can be accessed from front or rear, so fixing on wall can be easily performed as much as on unipole or rooftop. 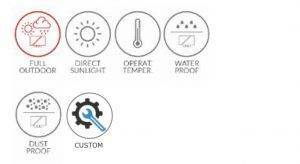 High brightness DIP type LEDS make each and every Signum-T screen visible under strong sunlight. IP67 LED modules prevent from any corrosion and condensation. The screen even if fanless can resist to high temperatures in the summer because of good heat dissipation by material. Low temperatures are no problem at all. This is a unique product, with certified quality, ideal for any outdoor permanent installation around Europe and America. 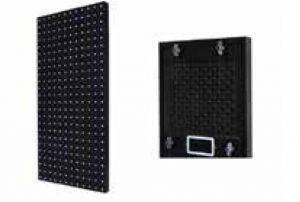 DIP type LEDs and larger pixel pitches make Signum-T solution very affordable, not only for initial investment but also for operational costs, in particular about electricity bill. Another reason why this series is the most demanded for largest installations, particularly on top of the bulidings. Simple, lean design for quick and easy installation. DIP type LEDs for high brightness and energy saving. Electronic components and wiring installed in special protective section of the cabinet. Access for maintenance in from front or rear as per client’s preference. Cabinet’s modules can be interchanged with other pixel pitch modules from the same series. Every time perfect identical cabinet manufacturing with die-casting technology. IP68 both front and rear LED module. Replacement of modules without screws. Light and thin cabinet design. Available in 10, 16.66, 20 e 25 mm pixel pitches. DIP type LEDs for energy saving. Average power consumption less than 200W per square meter. Cabinet thickness less than 12 cm.